Add to Calendar 2018-12-08 2019-03-18 America/Toronto Winter at Ontario Place The new Ontario Place is the place to be! 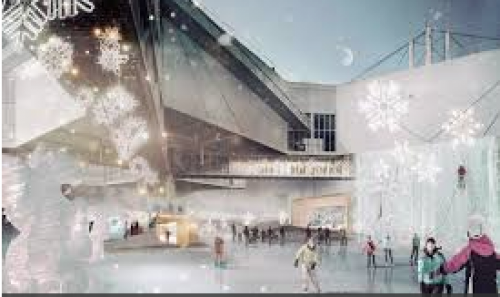 Open to the public for seven days a week - it will include "various winter themed activities" including the highly-anticipated Winter Light Exhibition with its 12-foot-tall, freestanding icicle silo and a new synthetic outdoor skating rink, offering skate rentals, sharpening, music, drinks and yummy snacks on site. There also promises to be "lots of room to build creative snow sculptures." Come enjoy film screenings at the newly re-opened Cinesphere, or warm up in front of the Bonfire on the north end of Cedar Cove, and remember to visit "Illuminated Island," in which "fairy lights will cast a warm glow" along the West Island paths. Ontario Place - 955 Lakeshore Blvd. West. The new Ontario Place is the place to be! Open to the public for seven days a week - it will include "various winter themed activities" including the highly-anticipated Winter Light Exhibition with its 12-foot-tall, freestanding icicle silo and a new synthetic outdoor skating rink, offering skate rentals, sharpening, music, drinks and yummy snacks on site. There also promises to be "lots of room to build creative snow sculptures." Come enjoy film screenings at the newly re-opened Cinesphere, or warm up in front of the Bonfire on the north end of Cedar Cove, and remember to visit "Illuminated Island," in which "fairy lights will cast a warm glow" along the West Island paths.